CoLab Radio » Blog Archive » Why do slums need open spaces? Over 60 years have passed since the United Nations declared in The Universal Declaration of Human Rights that housing is a human right. However, more people than ever are now living in insufficient housing around the world. Our home country of Sweden, together with a few more countries in the Global North, is currently among the few countries that do not have slums. In other parts of the world, mainly in the Global South, these informal structures are more than common. Almost one billion of the world’s urban dwellers today live in slum areas. That’s equivalent to the total population of the United States and Europe combined! Most of the world’s urbanization is happening in countries in the Global South, and India is no exception. Every day, thousands of people are moving to India’s major cities. The cities are unable to construct proper homes and employments for its increasing number of residents, and slum settlements are the direct response to this spike in urban poverty. Today, a surprising 80% of all the people who migrate to Delhi each year end up in slum areas. 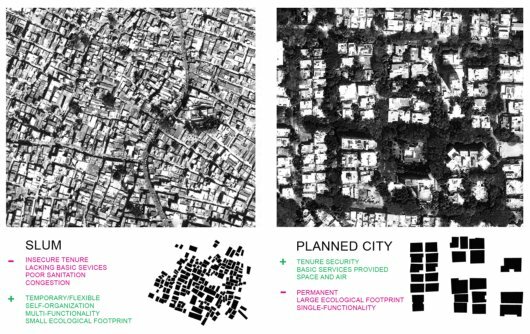 The rapid and uncontrolled growth we see in India today is increasingly putting pressure on land in the cities, and many developers are converting previous open public spaces into private use. This results in fewer spaces for citizens to enjoy, and poor people in particular lack places to gather outside their homes. Most people do not think about the need for public space in slums, however, public space is particularly important for this group. This open space is a much-needed respite from their crowded housing conditions, for fresh air and recreation. Research shows that the built environment has a strong impact on kids’ level of physical activity and ability to participate in group activities. Surprisingly, in spite of the ever-present pressure to increase dwelling space in the informal settlements, a number of multipurpose open spaces do still exist. 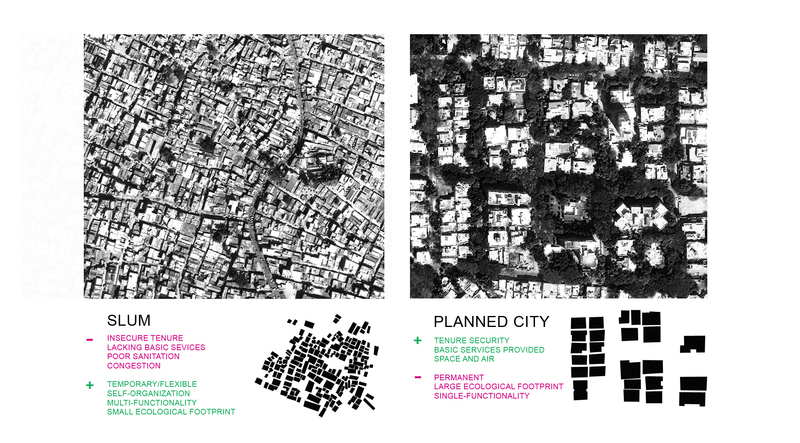 Whereas in western countries, planners create regulations to demarcate public space, slums require spaces with a versatility of uses. By assigning a place a particular activity it becomes unusable for others. Instead, multi-functionality is crucial. The megacity of Bangalore (a.k.a “the Silicon Valley of India”) is located in Southern India. The city has recently developed into a globally recognized center for IT and biotechnology, and is today one of India’s fastest growing cities. Geographically expansive, it has grown spatially more than 10 times its own size since 1949. Additionally, one in ten of its inhabitants live in slums. This is a relatively low figure in comparison with the rest of India, yet it is close to 1 million people living in slum settlements in a patchwork all over the city. 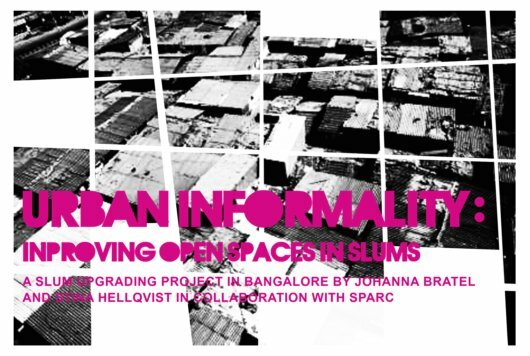 In Bangalore, the Indian NGO SPARC (Centre for Promotion of Area Resource Centres) works to upgrade slum conditions. Since its formation in the 1980s, the organization has become a major influential institution. Their work focuses on improving existing informal settlements in close cooperation with concerned families. They promote upgrading through micro financing, learning, mobilization and participation. One of the slum settlements that SPARC works with, Leprosy Colony, contains 235 inhabitants. Although no one in the settlement is living with leprosy today, the name Leprosy Colony remains from an earlier time when the disease was prevalent. Throughout the course of this series, we will study this settlement in collaboration with SPARC staff. We will focus on the use of public space in the settlement, and form a proposal of how to dynamically create and improve public space through the renovation process. This post is the first of series on the work of Stina Hellqvist’s and Johanna Bratel’s Master thesis in Landscape Architecture at the Swedish University of Agricultural Sciences (SLU) in Alnarp. Stina and Johanna will spend the next six months on this project, and will spend two of these months in India. This will be their first visit in India. Hopefully you will follow the project along the way! This is important work, learning about urban landscapes in a context where the vulnerability of human beings are more obviously related to the landscape, both as immediate surroundings and as more distant assets and their links, than it is habitually perceived in western cities. Yet, the slum dwelling represents an ecological footprint more conformed with what is desired from a sustainable point of view. 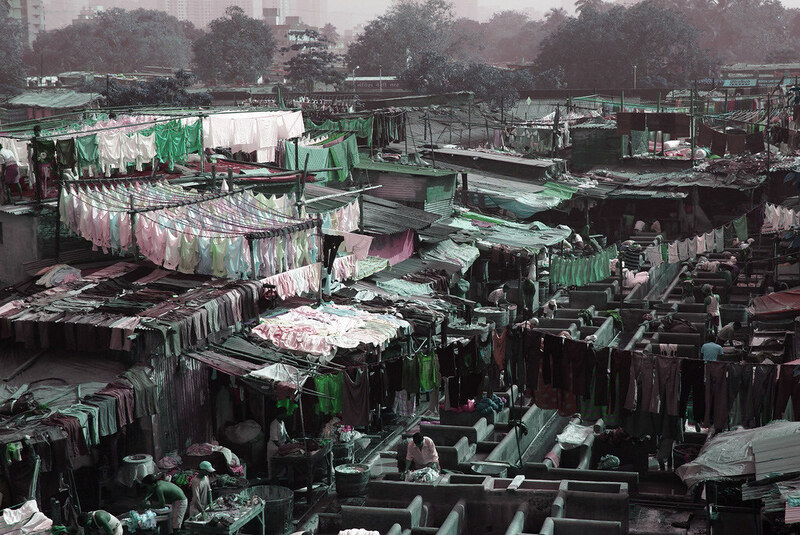 Therefore, it is not a cliché that the studies of slum has a double function; to be able to help people living there to upgrade their living conditions AND to be able to understand how to live a sustainable urban life in more general terms, to socially and materially interact with the urban landscape. I appreciate this initiative. For nearly 35 years I have been ducumenting in the world literature the giganyic problem posed by LEPROSY in Bombay slums. A monograph on Leprosy in Dharavi, the largest slum in Asia with illustrations and statistics is under preparation. If required I may be contacted so that knowledge can be shared. 11, VN Purav Marg, Sion-Chunabhatti, Bombay 400 022. Cell : 098213 10131, Off. (3 to 7 pm) : 022 2405 7040. Thanks Gunilla and Dr Ganapati for your comments! Gunilla: that’s an important observation. In several ways informal slum settlements demonstrate a more sustainable way of urban life than affluent, sprawling suburbs. However, they are also representing several social and health related problems. We are eager to study Leprosy Colony in person and see what we can learn from its flexible structures, and at the same time see what our knowledge as Swedish landscape architects can bring to the upgrading process. Dr Ganapati: we would love to take part of your research! We will send you an email with our contact details. We will also spend some time in Mumbai in mid May, and would be excited to meet up with you and discuss things further, if you have the time?